Farmers take note – Rovio has reached expert levels at milking things, pushing its Angry Birds cash cow into new territory. 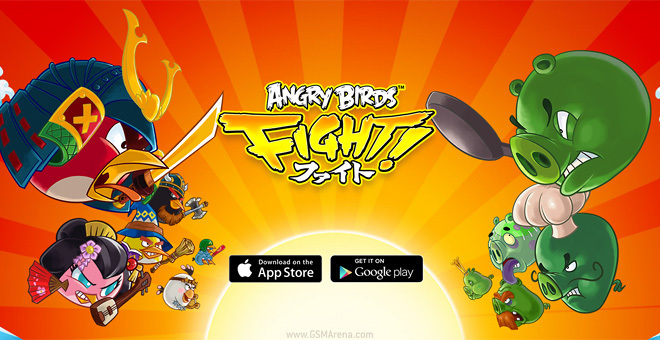 The new Angry Birds Fight! ditches the physics-based gameplay and switches to the “match three” mechanic popularized by the likes of Candy Crush Saga. The game brings back the cute, animated characters with lively animations and sounds, which is perhaps the game’s biggest asset. The match three gameplay is spiced up with RPG elements, which allow players to improve their characters and buy them additional gear, plus real-time PvP puzzle battles. The game was developed in conjunction with Kiteretsu and was launched in the Asia Pacific region months ago. Now the game is available worldwide and you can download it from both the Play Store and the App Store.